Hello and welcome to an early edition of the J.Q. Rose blog. 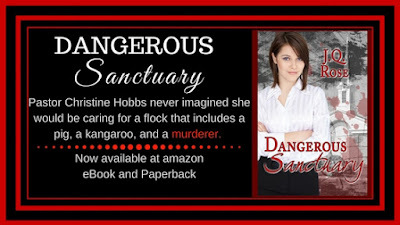 I wanted you to know that the Dangerous Sanctuary Virtual Book Tour is now in full swing. This week I'm visiting several bloggers and do they ever ask a LOT of questions!! I feel especially privileged to be a guest, I think one of the best unexpected "perks" when becoming a writer, is finding support from the writing community. Each author wants another writer to succeed. In fact, I found so many new "friends" who were willing to make the path to publication less bumpy, I put together their writing tips. AND as a prize, today through Thursday, December 15, 10 pm EST, I'm giving away a copy of the compilation of helpful writing tips from fifteen authors entitled Romance and Mystery Authors on Writing: the Writing Process, Publication and Marketing. If you want a PDF copy, just leave your email address in a comment below or email me to request one. My email address is jqrose02 at gmail dot com. Everyone is a winner. Just leave a comment or email to get yours. Tell your friends and family too. We want to get this e-book into the hands of writers whether they are a new or seasoned writer. 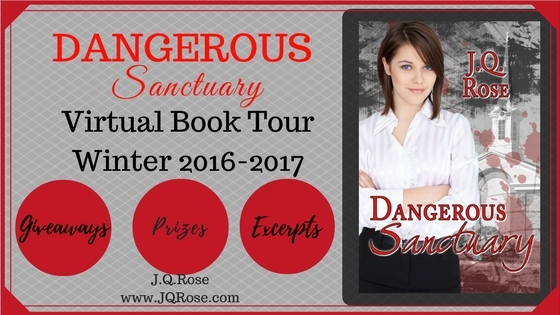 Here's the schedule for this month's Dangerous Sanctuary blog tour. I hope you can join me and enter drawings for free gifts. I also share excerpts from the romantic suspense at many stops. 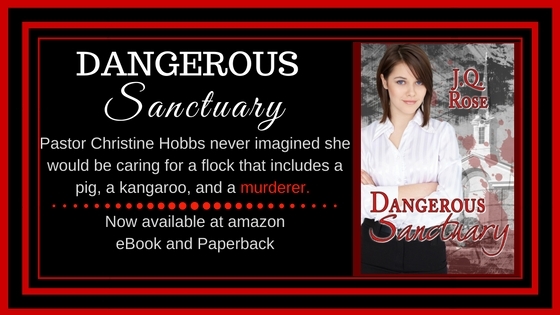 You'll get insight into the main character, Pastor Christine Hobbs. Please join me on the blog tour for giveaways, excerpts, and fun. Thank you! What a week of riches! 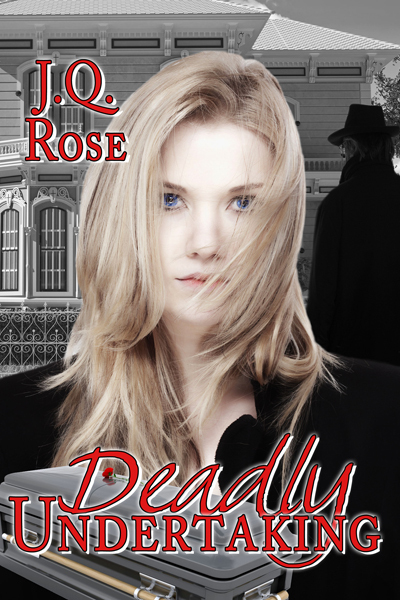 I'm also a guest at Paranormal Romantics featuring Henry the Shadow Man in my romantic suspense, Deadly Undertaking. I also share tips on the care of Poinsettias and today--Monday is National Poinsettia Day! Timely advice, eh? Come and join us. Do you have a poinsettia in your home? Thank you, Juneta. Looking forward to visiting your blog on Dec. 19! !